During the holiday season it is very easy to lose sight of the positive impact small acts of kindness can make. One of the most beautiful aspect of living in Canada is enjoying our wintery wonderland. This year my children and I started early with our outdoor activity planning, we purchased new snow pants, boots, hats and coats as needed. We decided to donate our winter clothing from the last few seasons to our local women’s shelter. Having a candid conversation about the importance of being warm led to my three lovelies deciding they had more to give. After an day of laughing at old clothes that no longer fit, and gasping at how big the littlest of feet in our home had grown we ended up taking six more totes of warm previously loved clothing to our local shelter. What is your good news story of the holiday season? Have you helped a family in need or donated to a local charity? According to the 2014 Food Banks Canada Donor Impact Report, more than 4 million Canadians don’t know where their next meal is coming from. Are you looking for an easy way to make a small difference in the lives of Canadian families who live with hunger? 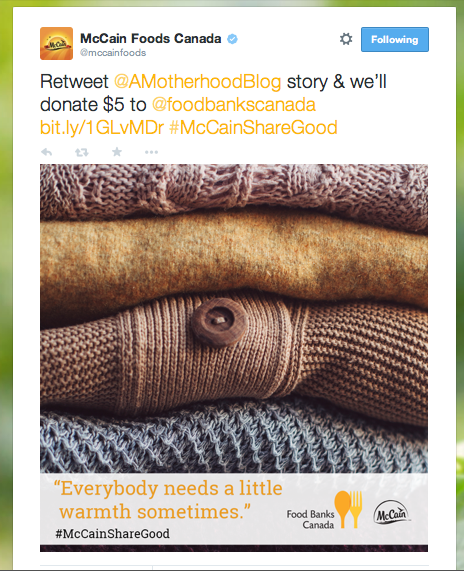 We all know how much good can come from helping others, so this holiday season, McCain Foods wants to fill social media news streams with good news stories, to motivate more people to help support Food Banks Canada. Through December 23, McCain Foods is donating $5 to Food Banks Canada, up to $50,000, for every good news story shared using #McCainShareGood on Twitter or by tagging the McCain Foods Canada Facebook page. 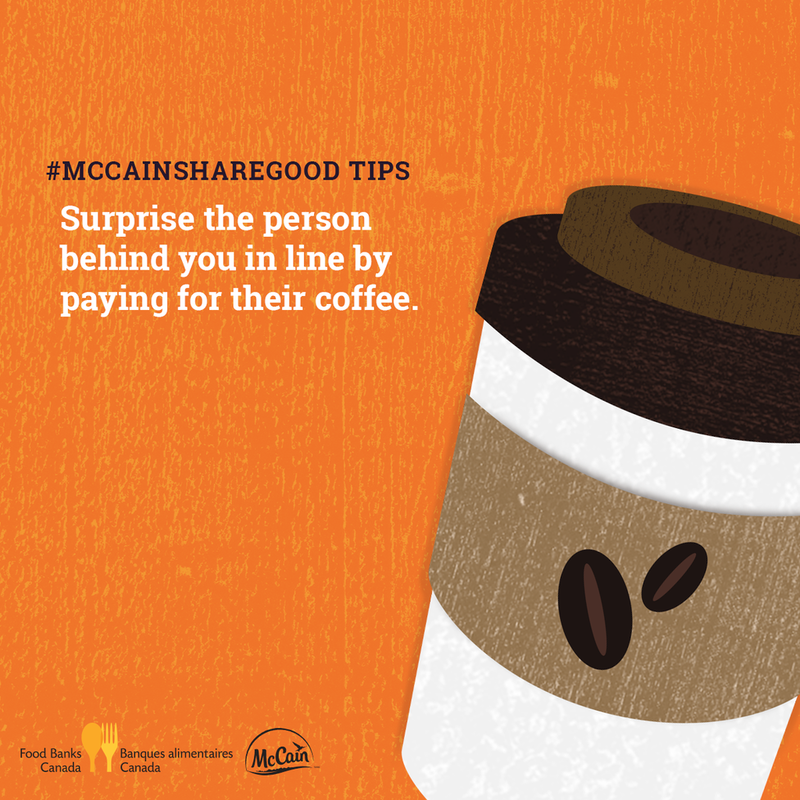 I am also happy to send one of my readers a #McCainShareGood prize pack worth $50. Enter below to win! In exchange for my participation in this program I received compensation and a donation was made in my name to a local food bank.